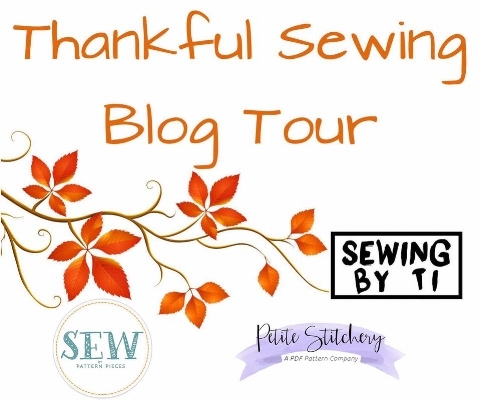 I've thought so much about what I wanted to share for this Thankful Sewing Blog Tour...after all, I have so much to be thankful for! I am so thankful for the family God has given me...our life isn't perfect (whose is?) but I love what we have! We don't do family photos too often (so.much.stress. 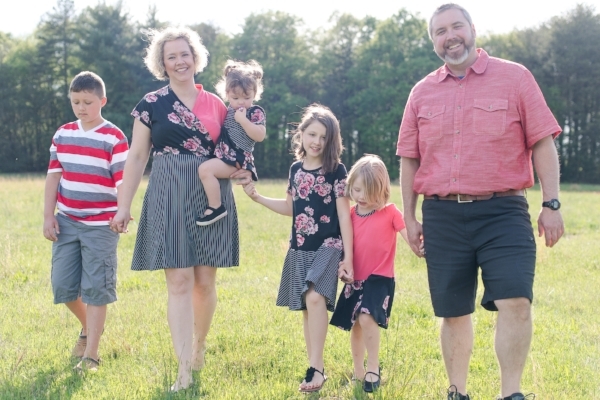 ), but I made dresses for us girls back at Easter this year, and we were able to wear them in a mini-shoot with a college friend...I love the images she captured of us, and will always look back on them extra fondly because I created part of what we wore! I jumped in with both feet and just started sewing, and trying new things, and learning all that I could. I am still amazed at how much I have learned in the past year and a half, but I have gained so much more! I never realized that sewing could be so therapeutic and restorative to my soul. I'm a stay-at-home (sometimes work-at-home) mom of 4, and I homeschool 3...sewing has become a way to care for myself but also a link to the outside world. I've made connections with people in various sewing groups and now can have a conversation with a grown-up during the day besides my sweet hubby. My husband and I have been reading "Soul Keeping" by John Ortberg and it really opened my eyes to how life-giving sewing has been for me! It makes me all the more excited to continue my sewing journey. The other thing sewing has given me is precious images of my kiddos. I'm not the best at pulling out my camera all the time, but I've fallen in love with pattern testing (I work best with a deadline! ), and you have to take finished garment shots when you test. I am not a pro photographer by any means, but it's been fun letting the girls model for me, and I've definitely ended up with some photos I'll treasure forever all because we were taking a picture of something I sewed for them...makes my heart so happy! And so, I will continue to sew on and capture beautiful memories with this family I've been gifted! It is so easy to become complacent...to see the little aggravations instead of the little blessings...to be hurried and miss the small moments of joy. I am more and more resolved to slow down, to ruthlessly eliminate hurry from my life and to instead enjoy the little things. This post does contain affiliate links...any purchases you make through an affiliate link, at no cost to you, provides a small amount of $$ to further my sewing and fabric addiction. Thank you! The first two images were taken by the very talented Sabrina Fields.